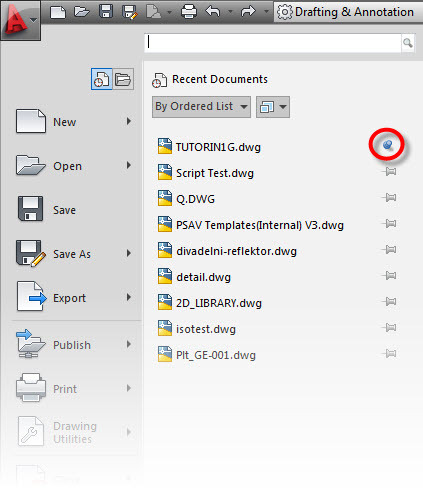 In the Application Menu (AKA “Big Red A”) there is a list of recently open drawings that lets you easily open these drawings. By default, this drawing list is populated by the last 9 drawings that you have opened. But what if you want to have a drawing that remains in this list regardless of how many drawings you have opened? Luckily you can pin this drawing to the list (shown below). 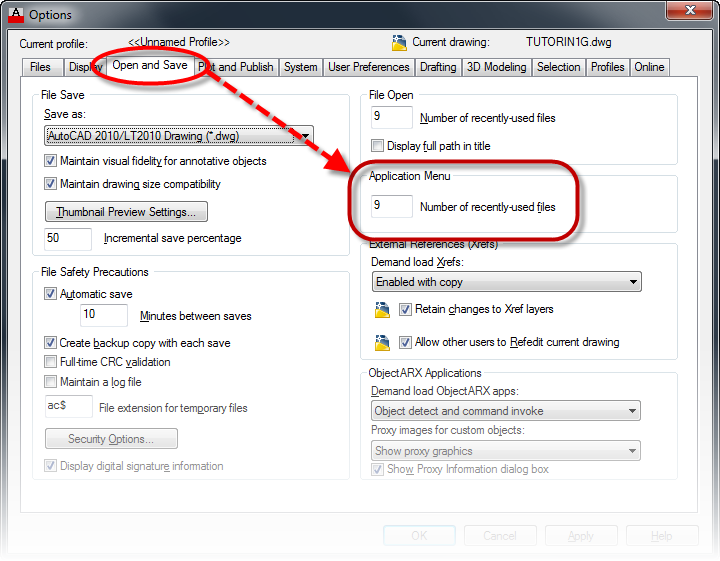 You can control the number of recently open drawings that are shown in the Application Menu by changing the number in the “Open and Save” tab of the Options dialog box (shown below). This entry was posted in BASICS, Customization, TIPS. Bookmark the permalink. This is a good tip, but this functionality does not seem to function when you use sheet sets. The sheet sets always take precedence over .dwg files and clog of the list. I would be interested in knowing if you know of a work around for that issue.